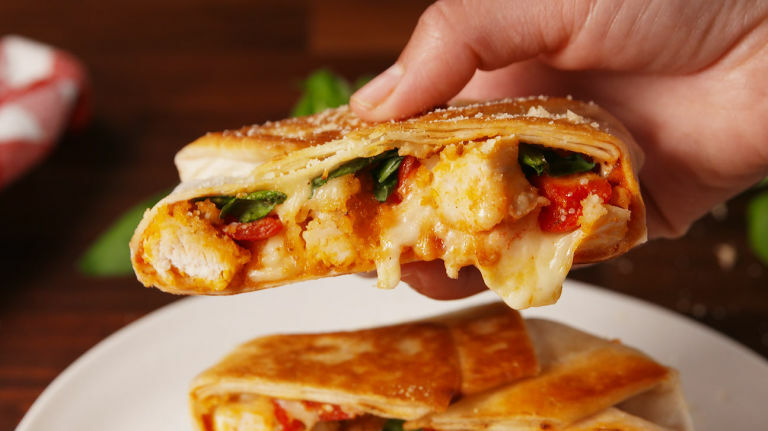 Your New Favorite Way To Eat Chicken Parm: In A Crunchwrap! If you’ve ever hung around in the Delish kitchen, you know we’re a little crazy. (In a good way, I hope.) It’s because there are no rules here! We’re constantly striving to outdo ourselves with our culinary creations, which has inevitably lead to many weird food mashups. Quesadilla burger, anyone? This Chicken Parm Crunchwrap is our newest hybrid baby, and though it sounds a little odd, it’s insanely amazing. If you’re an Italian food purist, hear me out. My problem with all chicken parm sandwiches — whether you call it a sub, grinder, or hoagie — is the soggy bread. The soft rolls can’t handle all the meat, sauce and cheese. When pan-fried in a little olive oil, a sturdy flour tortilla can. 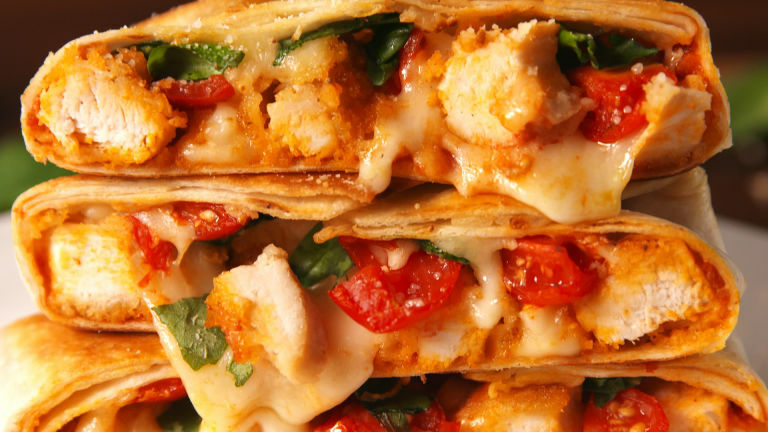 The inside of the crunchwrap is the same: breaded chicken, mozzarella, lots of a parm, and some marinara sauce. For the chicken, feel free to use your favorite chicken cutlet recipe. Us? We’re into reheating the Bell & Evans frozen stuff. 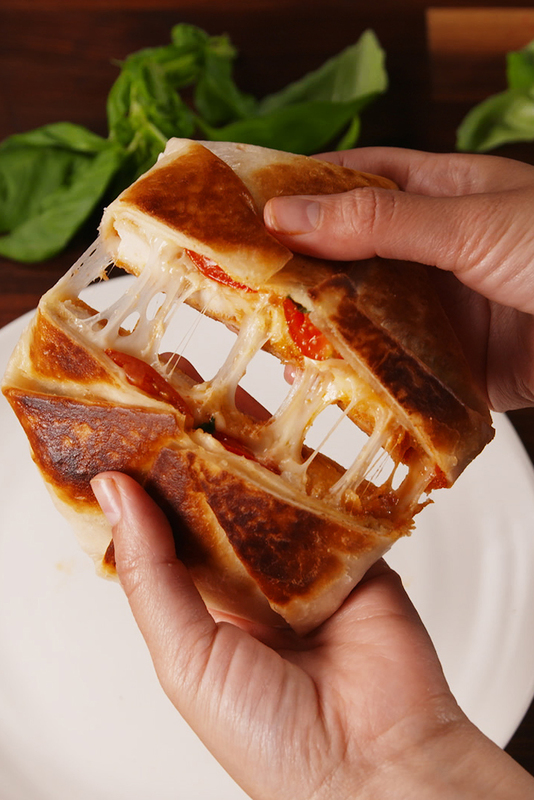 The perfect crunchwrap pleats look kinda complicated, but I promise you they’re not. Watch the video and you’ll see. And as far as the cooking goes, it’s pretty much the same as making a quesadilla. Cook until both sides are golden and, more importantly, crispy. You gotta get that crunch!